Individuals and organizations alike, face any number of workplace challenges. Predictably, these become roadblocks to forward momentum. Which issues are familiar to you? 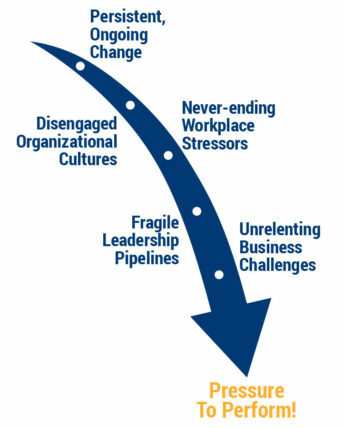 Mitigate the workplace challenges threatening your organization’s success before they spiral out of control. Define your leadership training and development strategies to prepare tomorrow’s leaders for sustaining success in today’s fast-paced, rapidly changing business world.